New England Patriots quarterback Tom Brady will reportedly not be at Monday's voluntary practices, according to NFL.com's Ian Rapoport. Earlier in the day, Rapoport tweeted that sources had told him Brady would not be present for OTAs (organized team activities). Brady has typically attended these voluntary sessions in past years. According to ESPN, Brady has skipped all of the team's offseason practices so far this season. 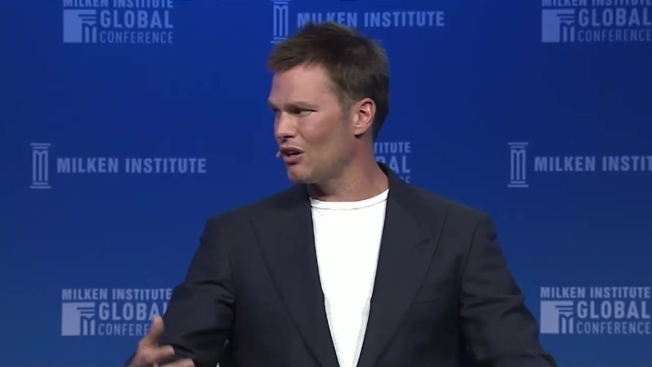 At the Milken Global Conference in Los Angeles in April, Brady said he was committed to playing another season with the Patriots. Rapoport said it's not clear yet if tight end Rob Gronkowski will be present for this week's optional practices. He remains locked in a contract dispute with the team but has said he intends to play this season. Both Brady and Gronkowski are expected to be present for the team's mandatory minicamp next month.